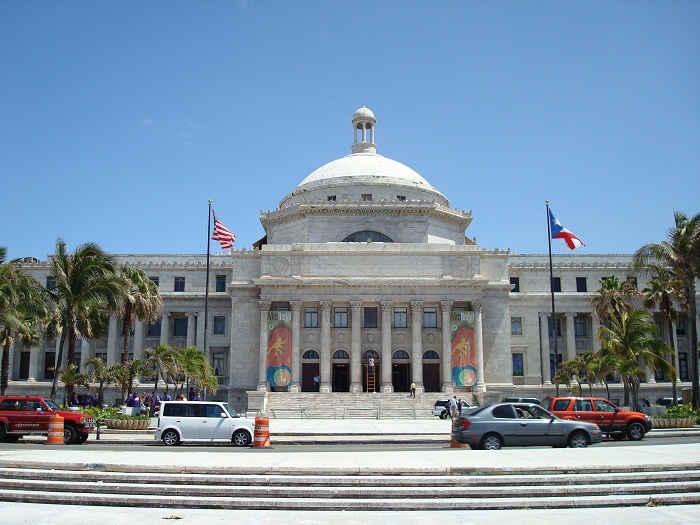 The Capitol of Puerto Rico is a building that holds the offices of senators and representatives of the tiny Caribbean nation of the Commonwealth of Puerto Rico, which is the largest insular territory of the United States of America. 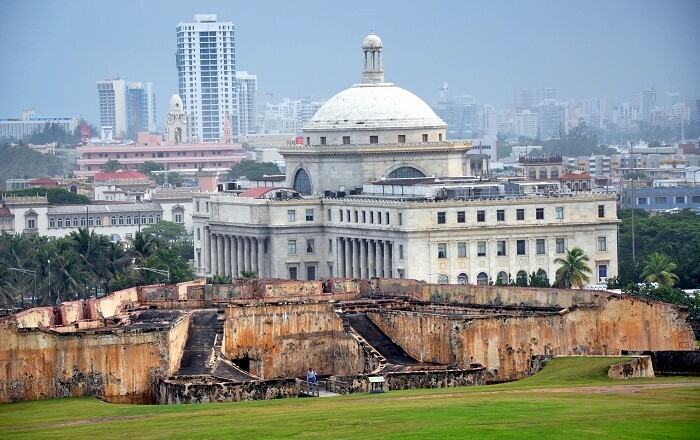 Standing as a powerful symbol of self-government, the building is located on the islet of San Juan, which is just outside the walls of Old San Juan. 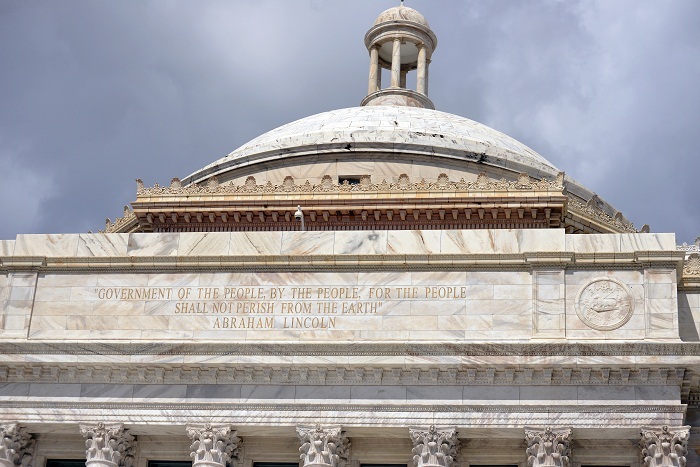 The idea of constructing a capitol building was first given in 1907 by the former resident Commissioner of Puerto Rico Luis Muñoz Rivera, where in 1921 the construction began. 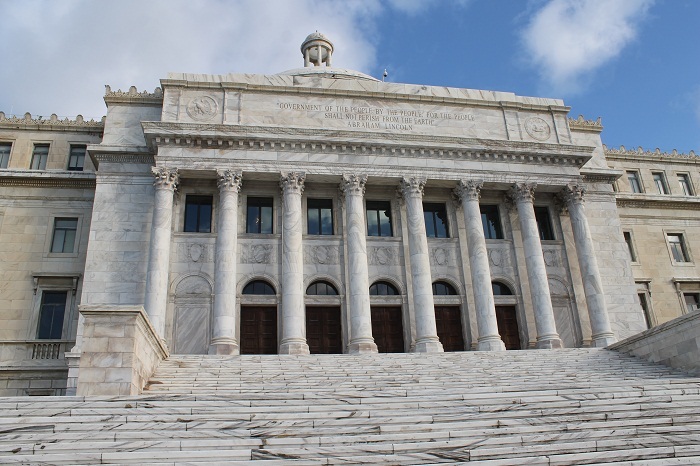 There have been 134 architectural designs, but the project chosen was the one from Frank E. Perkins, which presented a neoclassical style with little ornamentation. 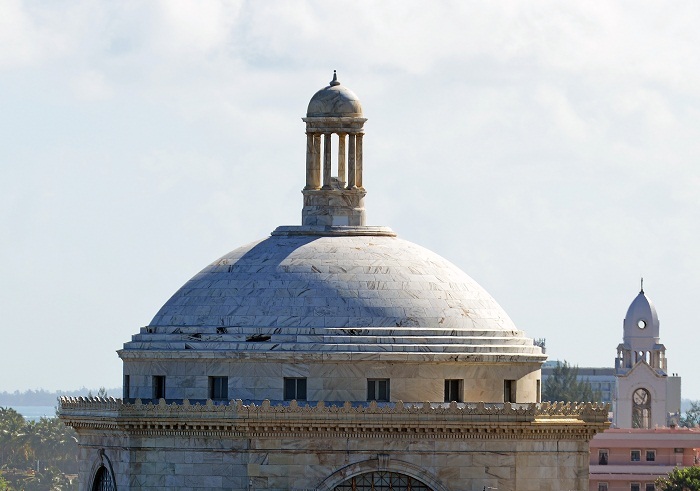 The main halls were organized around a central patio, with the south façade leading to the lobby which has the dome above that has the style which is similar to the Pantheon in Rome, including the oculus. 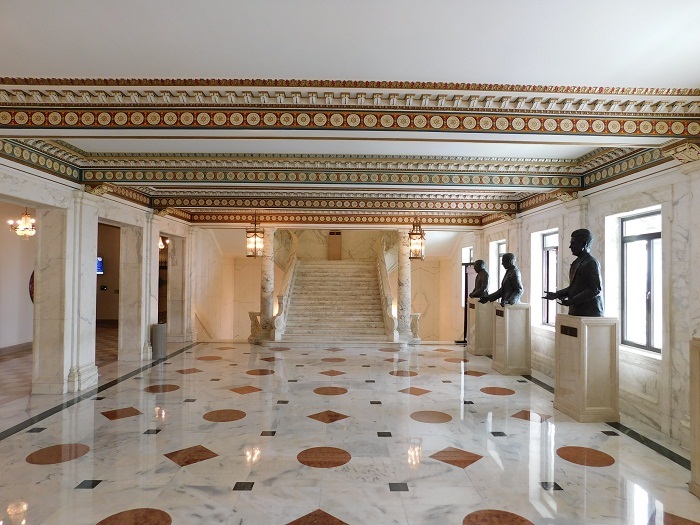 To the right, there would be a session hall for the Executive Council, and to the left one for the House of Delegates, while the Supreme Court would meet in a hall facing north. 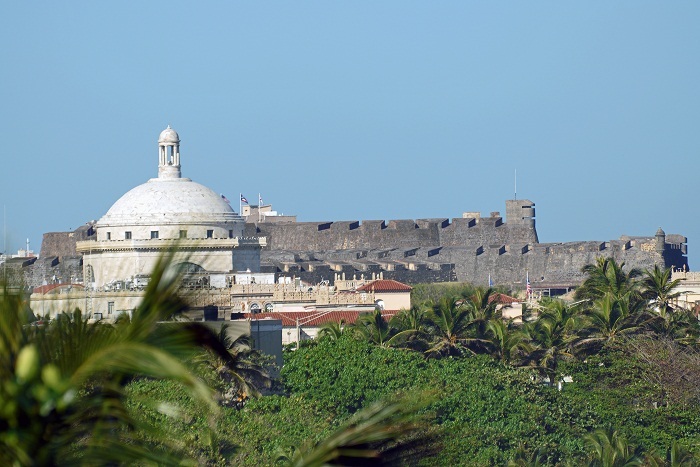 However, Luis Muñoz Rivera and the local press preferred another project that was disqualified by the evaluating committee, because the architect had included a slogan in the blueprints, which was forbidden. 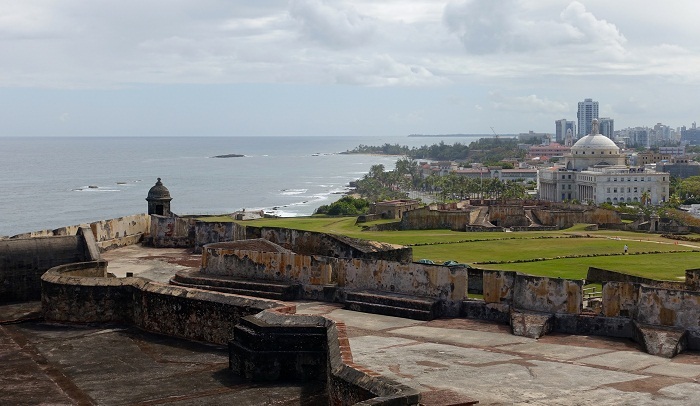 The project belonged to a Puerto Rican engineer called Carlos del Valle Zeno, a project that presented Renaissance style, with neoclassic orders. Still, Perkins was hired to make the construction blueprints for the Capitol, which was later changed because it was inappropriate. The design has been changing with the construction, and also the change of the leading architect, nonetheless, some elements from the previous designs have been incorporated in the final piece. 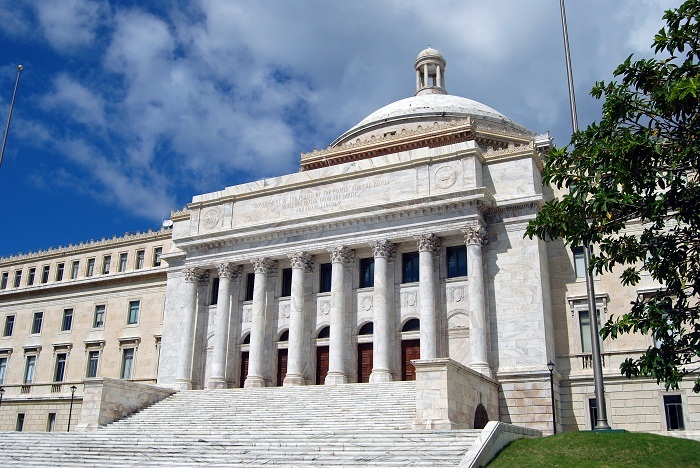 Completed in 1929, with Rafael Carmoega being the responsible architect, it was inaugurated on 11 February 1929, with the first meeting of the Legislative Assembly taking place three days later. Nowadays, being one of the most important Puerto Rican buildings in the capital, the Capitol of Puerto Rico is definitely one impressive cohesion of architectural work which looks like it has been carved out slowly throughout the history of the nation.